The long tail – gratis och på svenska? 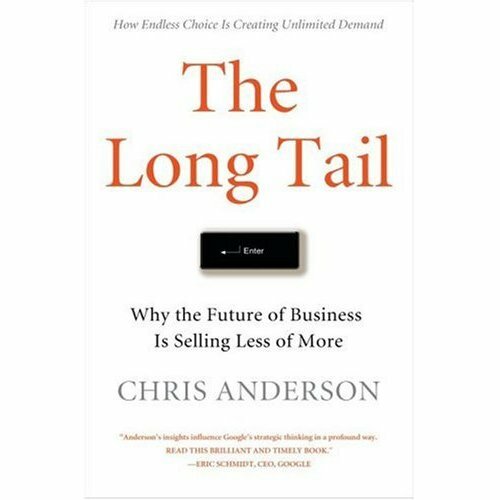 Den 3 april i år skrev jag några rader om boken “the long tail” av Chris Andersson. Fenomenet “the long tail” har accelererat med webb 2.0-eran och betytt oerhört mycket för många företag som valt att tjäna pengar på nischar istället för hittar. Webb 2.0 har förändrat PR-kommunikatörernas spelplan där “the business of the long tail” har blivit en ny möjlighet. Jag rekommenderar alla som jobbar med PR att köpa boken och sätta den i ett PR-kommunikativt perspektiv. Nu skriver Martin Jönsson i sin blogg att boken ska komma ut på svenska och dessutom bli gratis. Vilket ger mig anledning till att återigen rekommendera alla mina PR-intresserade läsare att kasta sig över godbiten. Consideration: Developing the capacity to identify opportunities to use “it”, yet finding oneself limited in identifying what the opportunities might be. Integration: Connecting the dots between traditional PR and social media… and realizing the value inherent in strategically integrating the two. Optimization: Identifying new opportunities to create ‘breakthrough’ campaigns that further extend the value of social media within a PR/marketing context. More than 400 communication experts from all over Europe participated in the second major study dealing with the way weblogs and social software are changing organizational practice. The survey, co-ordinated by the European Public Relation Education and Research Association (Euprera), builds a comprehensive picture of the impacts imposed by weblogs, podcasts, RSS, video- and picture-sharing. The result is amazing. Receiving feedback from the audience (73%)Last, but not least: Employing professional blog monitoring services saw a sharp rise from 6% in 2006 to 20% in 2007. That’s still pretty low, in my opinion, and there may be many job and business opportunities there as well. It’s fair to say that from the perspective of the public relations business the first Internet revolution was, for the most part, a missed opportunity. Obviously, a great many public relations firms benefited—at least temporarily—from the growth of the dot-com sector, and its hunger for hype. Publicity was the real product of many of the companies that emerged abruptly and disappeared just as suddenly when the bubble burst, for in the absence of profits (or even, in some cases, tangible products) it was publicity that convinced venture capitalists and other backers that these companies represented an opportunity too good to miss. But while many public relations firms were all too happy to supply the necessary hype, those same firms were slow to take advantage of the other, perhaps more substantive, opportunity presented by the rise of the Internet. While it might be too simplistic to suggest that one discipline could claim “ownership” of the new medium, public relations failed to make a case for its rightful leadership in developing strategies to help clients make the most of a new medium while the advertising industry argued that the Internet presented companies with a new means of pushing product messages out to customers (pop up ads, banners) and the direct marketing people seized on the notion of “relationship marketing” (because nothing defines a healthy relationship quite like a flood of unwanted e-mails) to take advantage of the Internet’s ability to collect customer data and e-mail addresses, the public relations industry sat largely on the sidelines. It did so despite the fact that it was apparent even then than the Internet was in many respects a public relations medium. The Internet was about information and education, not promotion, because it gave people unprecedented control over the messages to which they were exposed. It was about earning attention rather than demanding it. It was about dialogue rather and conversation rather than monologue. And it was about multiple stakeholder groups rather than customers alone. But the public relations industry’s failure to assert itself (or its inability to convince clients that it could offer anything beyond the media relations expertise for which it had become best known) turned out to be not particularly damaging. After an initial burst of activity that involved strategizing and designing the corporate web presence for clients, most of the Internet work of the past few years has involved tactics and execution, low margin work that most of the big firms won’t covet. The Web 2.0, however, has the potential to change all that. Where the first Internet revolution offered public relations the opportunity to add a new weapon to its arsenal, to incrementally increase the array of tools available to build relationships with key stakeholders, the second Internet revolution—which has gathered pace during the past year and was clearly the defining industry news of 2006—has the clear potential to revolutionize the practice of public relations and the business of the industry’s leading agencies. Meanwhile, the annual Trust Barometer surveys conduced by international public relations firm Edelman continue to show that in major markets around the world, people increasingly find “a person like you” to be the most credible source of information: more credible by far than paid advertising and even earned media coverage. In an environment that bombards consumers with millions of (often conflicting) messages each day, credibility is suddenly the most valuable currency of all, and the greatest credibility of all comes from a source—word-of-mouth, both online and off—few marketers had previously considered and most had considered dangerous and unpredictable. But companies—the most sophisticated and savvy at any rate—are coming to terms with a new reality: that a new era is upon us, and in this new era they are no longer is control of their brands the way they once were. A decade or so ago, it was still possible for marketers (and those in the C-suite to whom they reported) to believe that their brands were defined by what they said about themselves, in their advertising and their website and even their press releases; today, they must come to terms with the fact that their brands are defined by what others say about them in private, after they have left the room. Those conversations might be, as many marketers fear, dangerous and unpredictable, but they are the new reality. They can wish for a return to simpler times, but wishing will not make it so. Last year, after GlaxoSmithKline announced that it would be training its employees to become brand ambassadors, to answer all the difficult questions ordinary Americans have about pharmaceutical costs and safety issues, the CEO of a rival company was quoted in the advertising trades expressing skepticism. Was it really safe to put the brand message in the hands of ordinary, untrained employees, he wondered. How could companies hope to control the message? Even then, those sentiments sounded hopelessly out of touch. Was there really a bygone age in which employees were not ambassadors for the brand, in which they did not discuss corporate issues outside of their cubicles or factories or labs? The choice—as smart companies understand—is not whether employees become brand ambassadors, but how effective they are in that role. The opportunity this development presents to the public relations industry should be obvious, because the process by which word-of-mouth operates is essentially the same process public relations people have traditionally employed in dealing with media: identify individuals who have credibility and influence, tell them your story, and then rely on them to tell that story to others. But if the similarities between the process of generating word-of-mouth and traditional public relations are obvious, they should not blind us to the differences. And while the opportunity presented by this change in the communications landscape is obvious, the threat should not be ignored. The new communications landscape will be different—and in many ways more dangerous—than the terrain public relations professionals are used to. From the perspective of clients, the new landscape will demand a degree of communications authenticity. In the past, it might have been possible to get away with marketing messages that projected an image disconnected from the reality of the brand experience or actual corporate behavior. But the new communications environment is predicated on almost absolute transparency. Employees, customers and community members will have access to communications channels almost equal to that of the largest corporations, and any inaccuracy or insincerity will be quickly identified as such and exposed—not only undermining the company’s message but produced the precise opposite result from that intended. We have already seen examples of this trend, from a blog covertly funded by Wal-Mart to a YouTube video supposedly created by an ordinary citizen but in reality posted by a public relations firm representing Exxon Mobil. In both cases, the fraud was quickly exposed and the companies held up to ridicule and condemnation. But fundamental honesty is merely the price of admission to the new communications channels. Companies that wish to leverage those channels fully will need to achieve true authenticity—an alignment of their marketing and corporate communications messages with the values and behaviors and culture of their organization. That means an external communications program needs to begin with an internal communications initiative. On the branding front, employees must be educated and empowered to deliver on the brand promise; on the corporate reputation front, those same employees must be made to realize that every interaction they have with other stakeholders—customers, the community, even shareholders—has the potential to impact the perceptions of those stakeholders. Indeed, those stakeholders are far more likely to form their impression of an organization based on such interactions than they are to rely on the content of advertising and marketing messages. It also means, I believe, increased emphasis on cause-related marketing and on corporate social responsibility, two areas of activity that have the potential to forge deeper, more meaningful relationships between corporations and their customers and other key stakeholders. But again, these programs will be held to high standards of authenticity. Critics will be looking out for any indication of insincerity or misalignment between the causes companies adopt and their day-to-day behavior. Exxon’s campaign to save the tiger, for example, is unlikely to impress observers as long as it continues to block measures to fight global climate change—which has the potential to wipe out thousands of species, some of them just as photogenic as the oil company’s adopted symbol. Nor can companies afford to be tokenistic: donating a few cents from every purchase to a cause may be nice and generous but it is unlikely to resonate deeply with consumers unless they see other indications that the company in question is committed to the cause. That means companies need to consider everything from employee volunteerism to lobbying for public policy changes, and they need to commit to a cause for the long haul. The best programs—Liz Claiborne’s efforts to educate about and eradicate domestic violence, or Avon’s fight against breast cancer—have been sustained for more than a decade and given the companies involved a degree of ownership of the issue that can only be earned over time. In short, we have entered the era of “DNA branding,” when a company’s marketing and corporate communications absolutely must reflect their true genetic make-up. And from the perspective of public relations agencies, the new communications landscape will present other dangers. For one thing, it will demand a degree of intimacy with the client’s target audiences that far surpasses anything that has been expected of them in the past. To be sure, public relations has always demanded a knowledge and understanding of the client’s business beyond that required by advertising agencies, for example, if only because public relations people are expected to respond to questions from reporters, rather than simply providing pre-selected information. But if public relations firms are to engage with non-traditional media, they will need to understand the psychographics of their target audience as never before. The first challenge will be identifying the more credible and influential opinion leaders, those capable of driving effective word-of-mouth. It might be an over-simplification that anyone with a reasonably up-to-date media directory could figure out where to send a press release, but certainly anyone who took the time to read a dozen or so key media—easily identified based on circulation and content—could figure out which reporters really mattered. But identifying bloggers who drive online conversation is much more difficult. They will not necessarily be the ones with the greatest number of page hits: their actual audience might be quite small. To find them, public relations people will need to spend time with the target audience, often tracking back stories to their original, perhaps obscure, sources. And identifying offline influencers is probably even more challenging. Public relations people will therefore need to become expert in studying social networks, developing tools (as some already have) to help them map the complex relationships between traditional and non-traditional media, to identify authorities who are quoted or cited most often, to understand how and why stories that first appear in relatively obscure venues can have as much influence over time as an article on the front page of The Wall Street Journal. And for another thing, the new communications landscape will be far less forgiving of clumsy, misdirected, or dishonest pitches on a client’s behalf. In the past, the penalty for ineptitude in public relations was typically nothing worse than the failure of a desired story to appear in print. The relatively low cost of failure encouraged some practitioners to use a shotgun approach rather than a sniper approach: rather than taking precise aim at specific media, a release was often distributed to as many reporters as possible, in the hope that while the vast majority of them would simply consign it to the circular file, a handful might need something to fill some space and the clip count would go up. To be sure, reporters might find the deluge of off-target press releases frustrating. They might make broad-brush generalizations about the ineptitude of the public relations industry at a trade association meeting, or perhaps even devote an occasional column to several of the worst examples. But the risk to the agency was low. But in the Internet age, the rules are different. Bloggers are unlikely to show PR people the same degree of professional courtesy they have come to expect from the mainstream media. Badly-written press releases are likely to become fodder for mocking blog postings. (It would be no surprise to see sites emerge that aggregate such complaints, perhaps even ranking PR agencies by the number of negative comments their work generates.) And any communications that seems to be deceptive or manipulative is likely to trigger a brutal hostile backlash. What this means for public relations firms is that the difference between good PR practice and bad PR practice is likely to get far wider and far more obvious than it ever has been in the past. The age of transparency has implications for the public relations agency business, and the key one is that there will be far fewer places for inept or even simply mediocre practitioners to hide. One obvious effect of that development is that people—who have always been the key to success in the PR agency business—will be more important than ever. The public relations industry has long provided a prime example of how the value chain works: firms that are able to attract and retain and develop the best people will, over the long haul, be in a better position to attract and retain and develop the best clients, who will in turn deliver the profitability that firms require in order to grow. Simply put, good people are the foundation upon which successful public relations firms are built. But in this new environment, firms will need to find exceptional people if they are to stand out from the competition—because the competition will not just be other PR agencies. As the value of traditional media advertising diminishes—a result of increasing costs, increasing clutter, and diminished credibility—ad agencies will be looking for new areas in which to grow, and challenging public relations firms on their own turf. And some of the high-level, high-margin strategy work in helping companies build authentic reputations and credible brands is likely to appeal to management consultants and other professional service firms. One thing all these potential competitors have in common is that they have historically paid better than public relations, a fact that gives them a significant advantage in recruiting top talent. Moreover, the ideal candidates to help grow the public relations agency of the future will possess rare and perhaps even contradictory qualities. For example, it should be clear that anyone dealing with the blogosphere should be blessed with exceptionally good judgment, since any lapse is likely to carry severe penalties. Such judgment typically comes with age and experience, which suggests that firms will need more senior people and will need those senior people to be more actively engaged with the media. But at the same time, the blogosphere is a young medium—and this is an generalization that may be unfair to some senior practitioners—best understood by younger professionals. So firms will need to find either young people with exceptional judgment and wisdom beyond their years, or senior people with tremendous enthusiasm for the new and exciting. The need for authenticity suggests that another set of apparently contradictory attributes will be required: intense specialization and broad generalization. Specialization will be necessary because of the greater degree of customer and stakeholder intimacy required. Clients will expect public relations professionals to understand the web of influence that surrounds their companies and products and services and are unlikely to be willing to fund a lengthy learning curve. So practitioners will need to bring a level of familiarity to each assignment that can only be achieved through immersion in a sector or issue. But practitioners will also need to be generalists, because the age of authenticity also means the breakdown of traditional barriers between communications disciplines. If brand communications are expected to align with corporate behavior, then traditional differences between marketing and corporate communications are increasingly meaningless. More and more, it is difficult to plan for a new product introduction (or to develop a new campaign for an established brand) without thinking through the implications for corporate reputation or even public policy. Certainly, that is true in sectors under intense scrutiny such as healthcare or food and nutrition or energy and the environment. At the same time, it is increasingly rare to see a corporate social responsibility or reputation building initiative that does not have as one of its objectives an increase in either sales or customer loyalty or some broader marketing benefit. Without a tangible pay-off, such programs will not be funded indefinitely. In this environment, it is increasingly difficult to draw a clear distinction between marketing and corporate communications and public affairs. Consider the decision earlier this year by Merck & Company to stop lobbying for the mandatory adoption of its cervical cancer vaccine. Was that a marketing decision, a public affairs decision, or a corporate reputation decision? The answer, obviously, is yes. It was all three. And if the traditional dividing lines between corporate and marketing and public affairs programs are beginning to blue, the traditional distinctions between corporate and marketing and public affairs professionals will be increasingly meaningless. Marketing PR people will be expected to understand the corporate reputation and public policy implications of the product programs they develop; corporate counselors will have to think about whether their programming helps drive sales; policy experts will need to think not only about winning legislative battles but also about the impact of those battles on long-term corporate reputation. Finding people who can combine youthful enthusiasm and good judgment, specialist knowledge and broad generalist perspective will be critical to the success of the 21st century public relations agency. Another critical factor in the success of the 21st century public relations firm will be accountability. There is nothing new about the argument that public relations agencies need to be more rigorous in their approach to measuring and evaluating the impact of their activities. But there is a new urgency to the argument, because of the critical juncture at which the industry now finds itself, and there are new tools at our disposal to realize the ultimate objective. 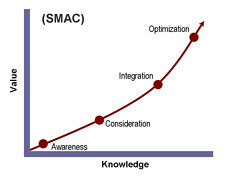 Within the industry, individual academics, agencies, and associations have all been engaged in important work that helps to address some of the key questions regarding public relations measurement, from the relative credibility (and value) of earned media coverage versus paid media to the appropriate portion of the marketing budget that should be assigned to public relations (more, according to most of the marketing mix modeling work we have seen) to whether the business impact of specific public relations activities can be predicted. But perhaps the most intriguing opportunity for the public relations industry was presented by management consultant Fred Reichheld in his book The Ultimate Question. Reichheld and his colleagues retained a research firm, which went to thousands of customers in six industries (financial services, cable and telecommunications, personal computers, e-commerce, auto insurance and Internet services). It asked questions about satisfaction and then it tracked the purchase behavior of those customers. They discovered the one question a company can ask its customers that links so closely to their behaviors that it provides a practical surrogate for behavior. The question is one that has been used in customer satisfaction surveys for decades: would you recommend this company (or product, or service) to a friend of colleague? By subtracting the number of detractors (those who give a company 6 out of 10 or less) from the number of promoters (those who give the company a 9 or a 10), a company can arrive at what Reichheld calls its Net Promoter Score, a measure of how well it is generating loyalty. Public relations should be encouraging clients to monitor their Net Promoter Scores constantly and to measure the impact of public relations (and other communications) programming upon those scores. It’s a measure that fits the changing mission of public relations and the new emphasis on non-traditional media and word-of-mouth, and it is one that ought to work to the benefit of an approach that focuses on building relationships rather than simply delivering messages. If you don’t understand why, consider the likely impact of an advertising campaign on the number of promoters or detractors for a company or a product. Then consider the impact of an authentic cause-related marketing program, or a corporate social responsibility initiative that makes a real difference to an issue that consumers care about. The technological and societal changes sweeping the world right now present the public relations agency business with an unprecedented opportunity. Seizing that opportunity will not be easy, but the rewards will be enormous. Vi vet att börskurser påverkas oerhört mycket av det som skrivs och sägs i media. Om publiciteten är positiv stiger kurserna. Och vice versa. Ett faktum som varit drivkraften och incitamenten bakom allt mödosamt IR-arbete. Tänk om handlarna hade tillgång till maskin som automtiskt läser av allt som skrivs och sägs i media; värderar publiciteten till positiv, negativ eller neutral; och i realtid och automatiskt köper, säljer, eller behåller de aktier som påverkades av publiciteten? Det skulle vara handlarnas våta dröm. Och IR-kommunikatörernas stora möjlighet och utmaning. Så sant som var sagt. Välkommen till Reuters Professional Products! Och deras nya uppgraderade version av “machine-readable news products” med ny “”algorithmic trading”. Möjligheten för er IR-kommunikatörer att effektivt påverka kursen i “rätt” riktning, har blivit betdyligt mer – hur ska jag säga – omedelbar. Den som väljer att förmedla sina nyheter och pressmeddelanden på Newsdesk gör dem även tillgängliga i alla ledande nyhetssöktjänster i Sverige, som Google News, Sesam, Eniro och MSN Live Search. Newsdesk har arbetat intensivt i många år för att bygga upp en söktjänst för företagsnyheter med målsättningen att göra alla företagsnyheter tillgängliga för alla över allt. Därför känns det extra roligt att Sveriges ledans söktjänster för nyheter har kvalitetssäkrat Newsdesk som en intressant källa. Jag vill också passa på att gratulera alla de 4.000 företag och organisationer som idag förmedlar nyheter via Newsdesk med syfte att framföra sina åsikter och budskap till alla som är intresserade.